Mods: Increased till round 3; 3 rounds of pear’s side; decreased for 2 rounds; 2 rounds of sc all; decreased and fasten off. He was very pleased with the juggling pears but he didn’t end up juggling them. His teenage daughter saw the pears and wanted them straightaway. Her dad already gave her a full size pear softie but she wanted the little ones to give to each of her BFF to remember their high school years together. She graduates this year. 🙂 Isn’t that sweet? And no, this isn’t the female version of Cousin It gone commando. Hehe… It’s another custom order which I haven’t started on yet. 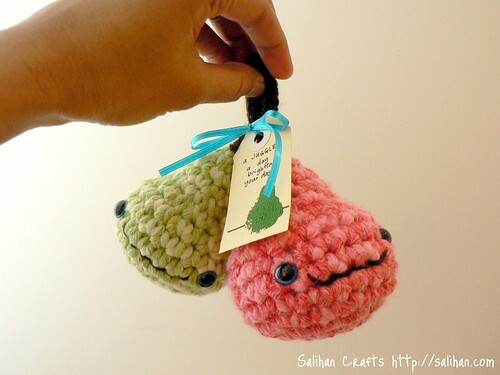 It’s for Ysoline, the now famous girl with the Amigurumi Pears surrounding her. She loves pink and that’s exactly what she’ll get – a pink pear, just like the one Mel is making. Check out the page and look out for the cool buttons I’ve made. I’m extremely proud of them. those juggling pears are so adorable!!! great job. .-= Julie´s last blog ..Modification Monday: Anais Dress =-. .-= Tere´s last blog ..A New Beginning….. Let’s start off with a favorite recipe of mine. =-. No way am i going to show these to my daughter who only has two weeks of High School left. There is no way i could make them in that time. It’s a great idea. .-= Linda´s last blog ..Sports Carnival =-. very cute, love the colors used!! .-= vanessa´s last blog ..Een nieuwe bewoner in onze slaapkamer =-. Awwww love the mini pears! Salihan, I love your creativity. 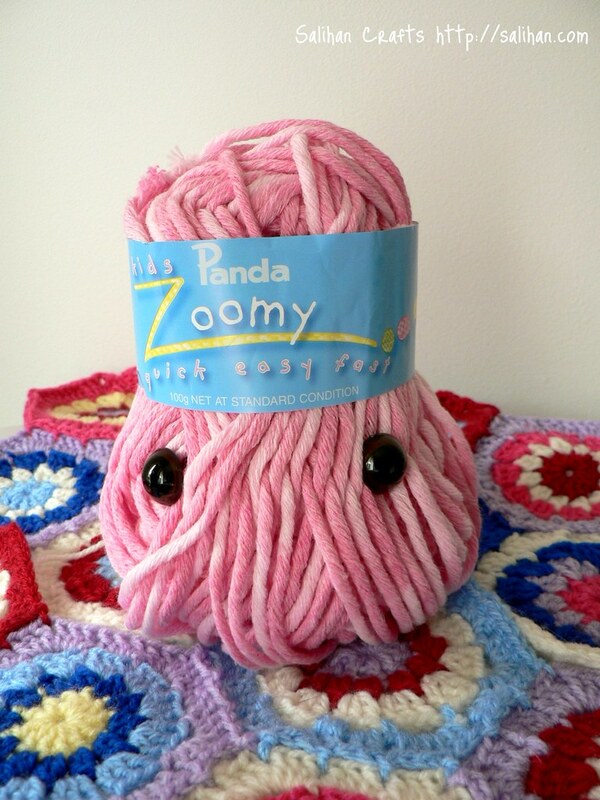 I have forwarded ur blog to my relatives and friends who enjoy crafts. Your creations exhude love and warmth. Did I tell u I blocked my scarf as per your instructions on ur website and it looks great. .-= Anupama Krishnamurthy´s last blog ..Pound Cake =-. Thanks Anupama! You’re too kind! I’m also very glad to hear that the blocking tutorial has helped you. 🙂 And I made the pound cake you blogged about and I’m in LOVE. It’s sooo delicious! Thanks for sharing the link. Have a good week! 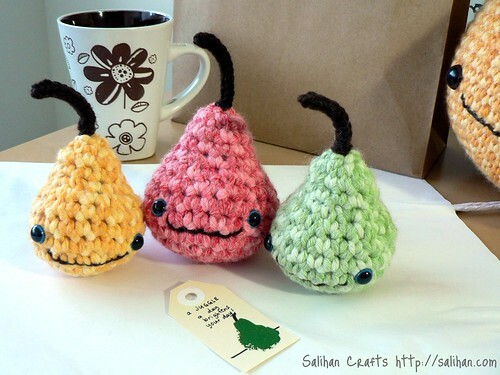 these little pears are so cute! they look so happy! the pear wip made me laugh too! .-= Kris´s last blog ..Shhhh, be very quiet =-.